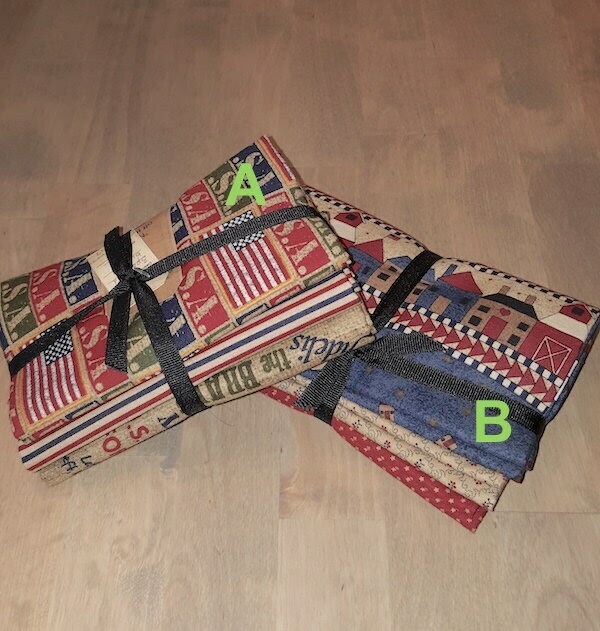 Half Yard Bundle called "Americana Collection" with 3 pre-cut fabric pieces of Americana shades and prints. Two sets (A/B) of complimentary designs have been hand-selected in our shop. They are great for that special someone in the armed forces, to celebrate the love of the United States... or for that unique craft project you're waiting to start or finish.